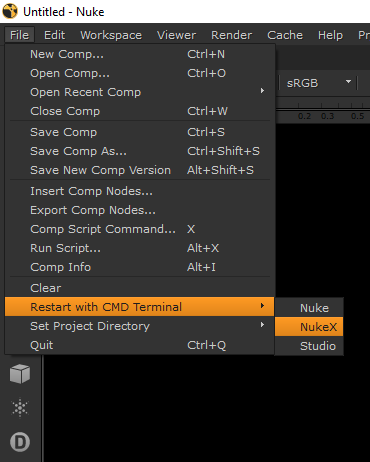 Relaunch Nuke from cmd/terminal and keep your error messages! Added list of terminals, now works with different linux distros. And this is just me being really picky. Are you tired of pointing your cursor at your taskbar and wait for two windows to pop up before you can click on Nuke? Then this script is just for you! This script puts a menu in File menu to allows you to restart Nuke, NukeX or NukeStudio from command prompt or gnome-terminal. Seriously though I made this because many times when Nuke crashes, its terminal crashes just as fast as well without leaving a clue as to why it crashed. 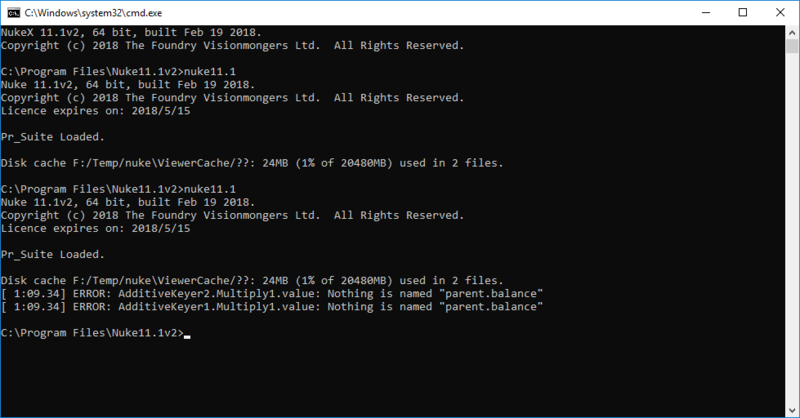 Launching nuke from command prompt or terminal will display the same log, but when Nuke crashes it will remain and you can read what errored out.